For more than 14 years, Derby Driver Training have been helping the people of Derby to learn to drive and pass their tests. Our professional and qualified driving instructor, Andy Price, is a patient and enthusiastic instructor who aims to make every lesson an enjoyable and memorable experience. Our relaxed and friendly approach is always popular with our learners and we're proud that so many of our former students have gone on to recommend us to their friends and family. As an experienced Derby driving instructor, Andy knows the ideal routes and locations in the city to practice all the different elements of driving and aims to help you get the most out of every driving lesson that you take with us. 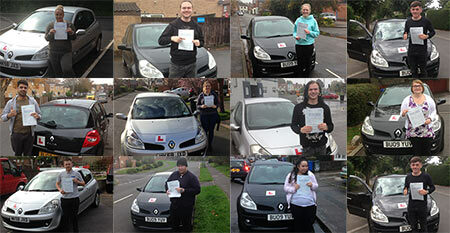 We know that every learner is different so we work hard to tailor each driving lesson to suit. You'll learn at a pace that suits you in a calm and relaxed environment. 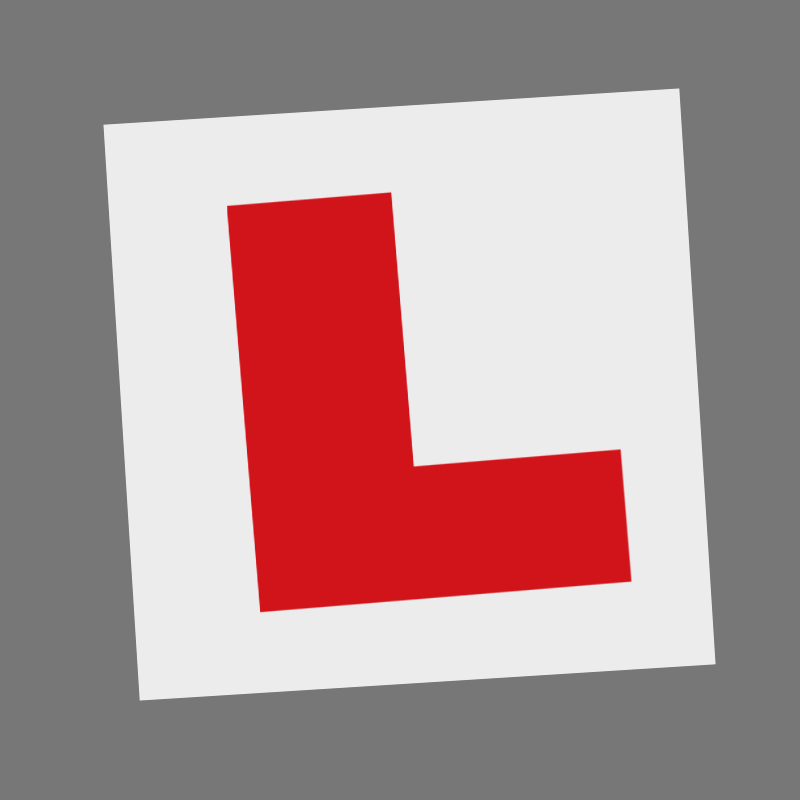 We have an excellent first time pass rate and can equip you with not only everything you need to pass your driving test, but also the skills to drive safety and confidently for life. But don't just take our word for it - take a look at what some of our previous learners have said about us. We also offer fantastic prices on all our driving lessons - we believe we're amongst the lowest priced in Derby - and offer various driving lesson options to suit everyone, from single lessons and block bookings to intensive driving courses for those wanting to pass quickly. So if you're looking for a driving instructor in Derby that you can trust, why not give us a call or text us on 07793 025 133. Andy is a great guy, really good at his job and I felt really supported and encouraged to learn to drive. I'm happy I've passed and would recommend him to anyone! Andy is very professional, patient and approachable. He goes to your pace of learning and has years of experience. I would definitely recommend him to everyone and anyone, I passed first time! Loved my driving lessons with Andy. He was very reliable, always on time and took the time to teach me when I was struggling to understand. I would recommend Andy to anyone wanting to learn how to drive. He’s a great instructor, great at his job and an all round great guy. 5 stars from me! Thanks Andy! Andy is an easy guy to get along with. He plans your driving lessons to suit your capability and needs as a learner driver and he explains things well and allows you to learn and correct your mistakes without getting annoyed or angry. He is a great driving instructor in my opinion and I feel as I’ve made so much progress within the two lessons I have had with him. Big thank you to Andy for being great, thorough and a patient instructor. Really helped me improve my driving and confidence behind the wheel, also was very flexible with booking lessons around a busy schedule. Would definitely recommend to others. It is a brilliant driving school with an amazing teacher who is very good at teaching people how to drive !! I passed my test first time with Andy and will recommend him to anyone. 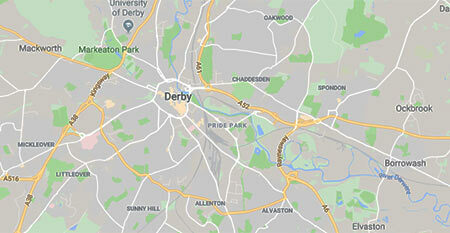 We provided driving lessons in Derby and the surrounding areas. take a look at some of the areas we cover. 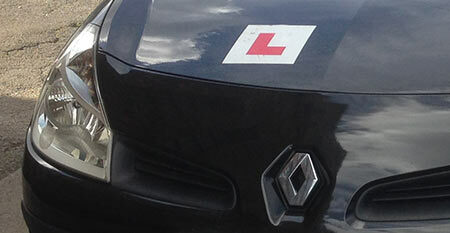 We believe our prices are amongst the cheapest driving lessons in Derby, with prices from just £22 per lesson. Many of our learners come to us through recommendations from family and friends. Read what some of them say about us on our Pass Wall!